Featuring stories from Kara Kahnke, Jennifer Lang, Briana Loveall, Kelly Fig Smith, Kate McCahill, Cathy Shuman, Nicole Walker, Joanna Bettelheim, Ellen Holtzman, Haley Swanson, Matthew Fogelson, Kelly Shire, Shamae Budd, and Susan Rogers. 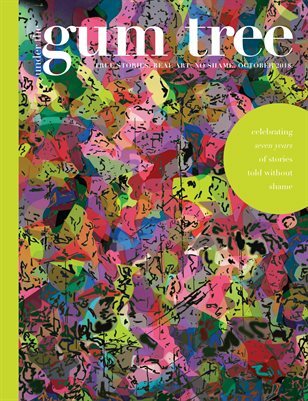 A great collection of diverse nonfiction stories, published in our 7th anniversary edition. Photo essay by Daniel Beltra and artwork by Jessica Labatte.